Thank you to the speakers for taking their time to come and speak to us about their jobs. We have enjoyed completing maths challenges in our outdoor environment. We worked together in groups to complete each challenge. We found lots of examples of 3-D shapes, parallel and perpendicular lines and two-digit numbers. In english we have been reading and performing play scripts. We acted out a scene from 'The Twits' on our outdoor stage. We had great acting and performing. We had a great day celebrating at Children's University. 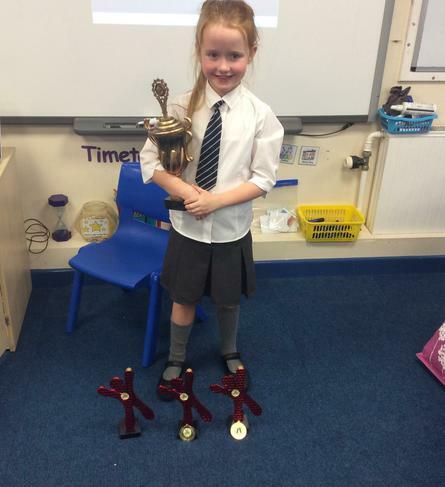 We are extremely proud of the children's commitment and enthusiasm to extra curricular activities. Year 3 had a great time working together to build dens in our outdoor environment. Year 3 have been learning how to sing a traditional French song. Year three have such an excitement and love for reading! We have been making the most of the lovely weather and reading our books outside. 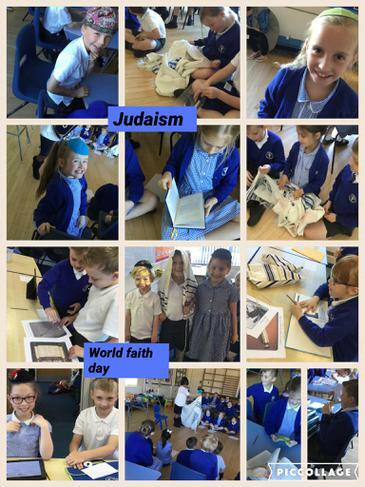 Year 3 had lots of fun learning about Judaism for world faith day! We have been helping Mr Coleman to plant seeds in our school garden ready for summer! In science we have been learning about different types of rocks. 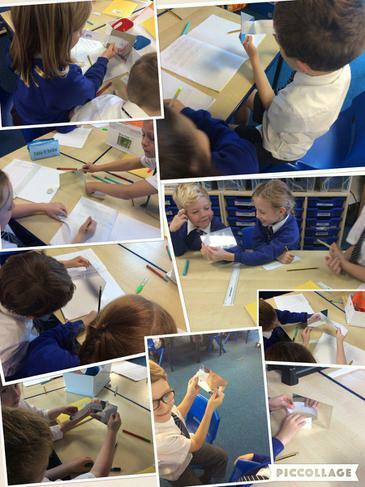 We have been making careful observations to identify different features and properties of rocks. We are extremely proud of our year three children for presenting their 'All about me' talk week homework with such confidence. We thoroughly enjoyed listening to what makes you special and unique. Year three did a fantastic job of acting out the Easter Story to the rest of the school. They shared with us the true meaning of Easter. Thank you to Natasha for all of your hard work helping us to practise our lines in BAFTA Bible club. What a great day we had celebrating World Book Day! We loved dressing up as our favourite characters and talking about our favourite books. 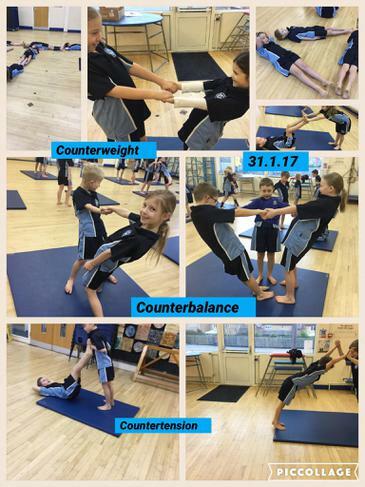 In P.E we have been learning how to do different rolls, balances, jumps and stretches in gymnastics. We have been making a new sequence each week and performing it back to the rest of the class. We hope you enjoy our pictures. 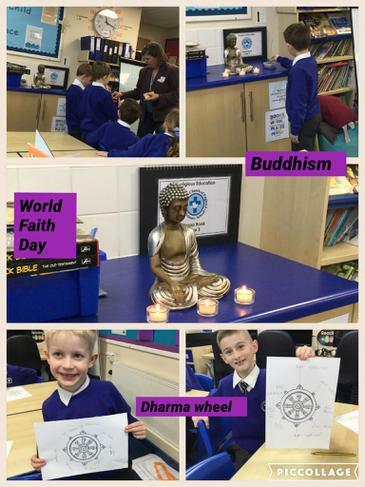 We were very excited to learn about Buddhism for World Faith Day. We were able to ask a Buddhist questions about their faith and place of worship. We made our own Dharma Wheel and discussed the different values of the Noble Eightfold Path. On Tuesday 7th February we took part in Safer Internet Day the theme for this year was 'Be the change - Unite for a better Internet'. 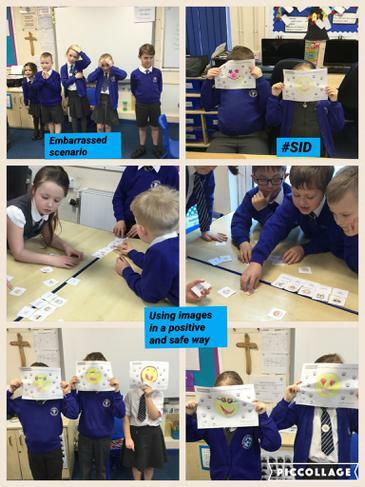 We looked at how we can use images online in a safe and positive way. Year three had lots of fun creating their own emoji's! This week we have thoroughly enjoyed learning about different genres of music. Year three have been learning all about rock music. We were grateful to be able to play different percussion instruments and guitars! We also listened and sang along to lots of different rock songs. · Homework will be given on a Friday. Please send homework back to school by the following Friday. · Please keep practicing 3,4 and 8 times tables. Swimming begins after Christmas on Thursday afternoons. Please ensure that your child has a swimming hat and suitable trunks or costume. We have been performing and writing narrative poems. In particular, we loved performing poems by 'Julia Donaldson'. Super performing skills, creativity and enthusiasm from year 3! We have such talented children in year 3. Thank you Jemima for sharing your Christmas Nativity with us. presentation skills with clear reading. The children loved giving feedback to each other. Well done! We have been learning all about the importance of a healthy balanced diet. We were able to compare the sugar contents of many foods and drinks. Year three were great at identifying different food groups. Well done everyone! 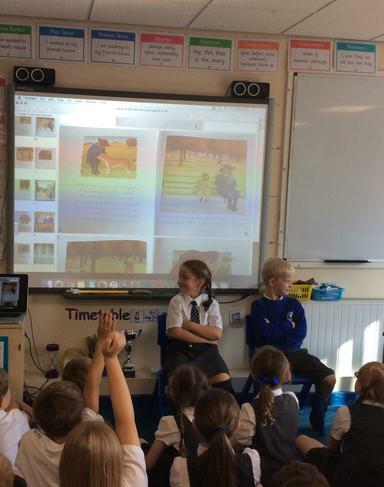 Year 3 enjoyed being publishers for the day. We created our own digital books with audio, text and images! Year 3 had lots of fun in French learning a French poem - with matching finger puppets. Year 3 had fun investigating reflection. Congratulations to Isabella on such a great weekend Irish dancing. We are very proud of you! 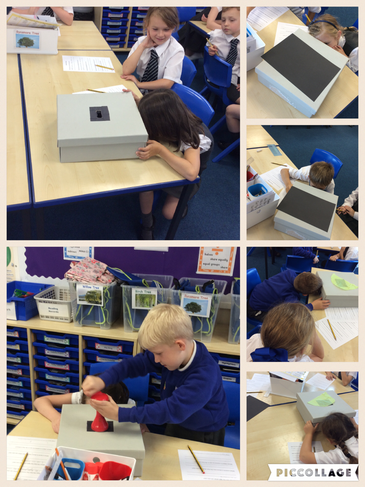 This week Year 3 completed the dark box challenge! In science we have been exploring different light sources and what materials are easiest to see light through. We found out that bright coloured objects are easier to see in the dark than dark coloured objects. We also found out that translucent materials allow more light to pass through. Super scientific work Year 3! In English we have been enjoying reading new books and investigating stories with familiar settings. Well done to our actors Kim and Ben who answered questions about their characters!